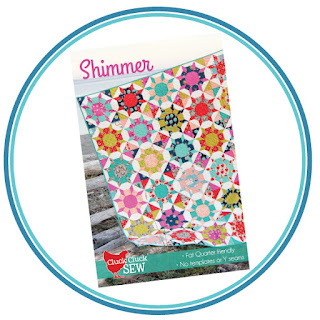 Fat Quarter Shop's Jolly Jabber: Sew Sampler June 2016 Box Reveal! Sew Sampler June 2016 Box Reveal! It's that time again, time to reveal the contents of our June Sew Sampler Subscription Box! We are giddy with excitement to reveal this one! So let's jump to it, and if you haven't already, be sure to sign up today because our July box will be here soon! This month's theme is "Color Pop" so get your sunglasses on as we are about to brighten up your day! 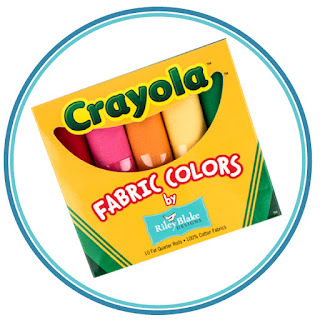 Sink your eyes into this dazzling assortment of Riley Blake Confetti Cottons, all neatly rolled up to fit inside this adorable Crayola box. 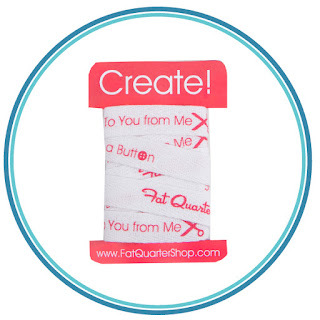 These adorable double-sided plastic tiles are perfect for labeling your fabric pieces after cutting. They pair perfectly with any It's Sew Emma pattern. 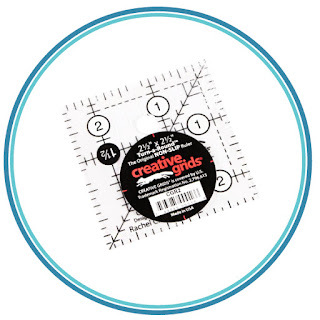 This ruler features easy-to-read black and white markings printed in 1" grids, marked in 1/8" and 1/4" increments. It's perfect for trimming down half-square triangles, an essential ruler for every quilter! Write, erase, rewrite! 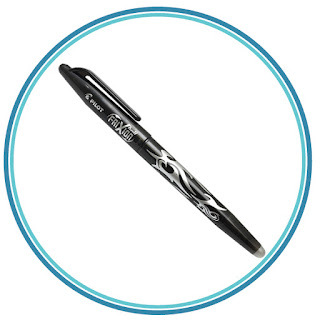 This pen has a unique thermo-sensitive gel ink formula that disappears when erasing with friction or heat. This is a very popular tool in the quilting industry as you can easily erase marked lines with an simple swipe of your iron. Fat Quarter friendly pattern featuring basic piecing with no templates or y-seams. Pattern includes full color diagrams on quality paper. Adorable pink and white ribbon, perfect for quilt tags or tying up a cute package. Contains 2 yards of ribbon. That's not all, we also included our next block recipe! This pattern will give you cutting and piecing instructions to make an 8", 12" and 16" block. This month we have featured Bella Solids Summer House Lime, so tasty! 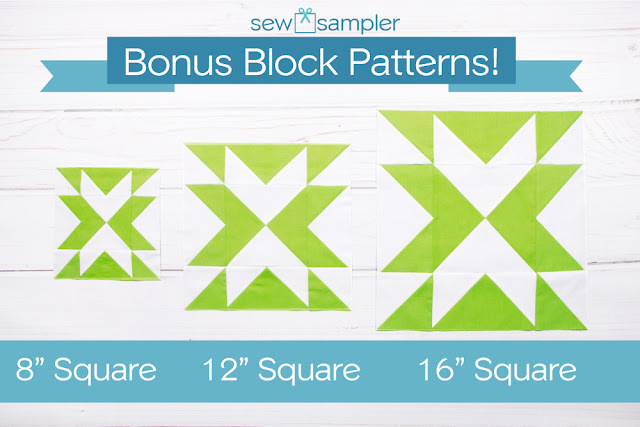 Below is the first three Sew Sampler blocks. Aren't they turning into an adorable quilt? If you haven't already signed up, do it soon to make sure you receive our July box! Also, if you are enjoying your box, be sure to take a moment and write a review on our website here. What did you think about the June box? Comment below to let us know, and be sure to share your box reveals with us by using #SewSampler.